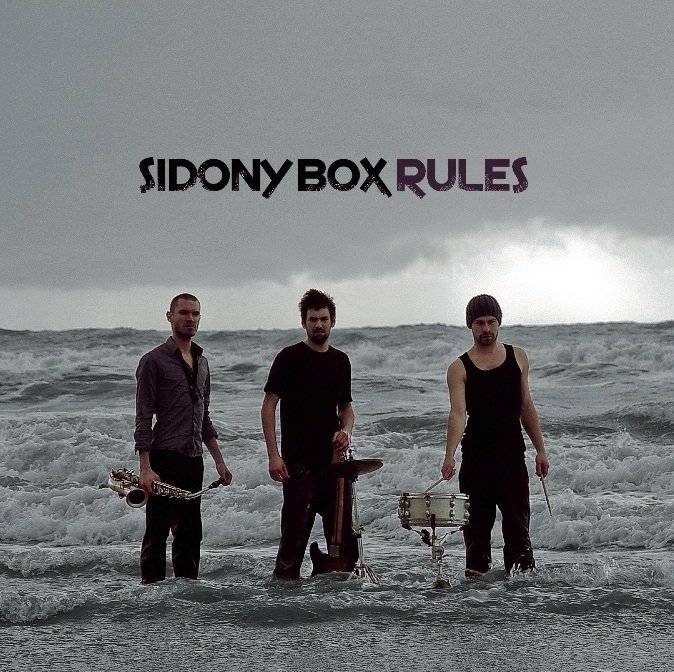 Paris, France – Much to the anticipation of music aficionados around the world, French avant garde music troupe Sidony Box have released their third album ‘Sidony Box Rules’. Award-winner of the “Rezzo Jazz a Vienne 2010” showcase and selected for the AFIJMA’s “Jazz Migration 2011” tour, Sidony Box has earned its scenic reoutation through Europe and already released two albums acclaimed by international press. Sidony Box is back on stage with a luminous and heavenly third album recorded by Venux Deluxe, well known for his work with legends such as Magma and Gong, taking the sound of the ensemble to a new plateau in sonic expression. This album installs the power jazz trio in the tradition of its illustrious elders, while keeping the devastating energy that made the initial force of the band. Free electrons spinning in the same direction… Exploring musical boundaries with remarkable consistency by creating an imaginary artistic landscape, Sidony Box is now writing a new page of its history, becoming impossible to miss from now on! The best way to present the music of this trio is probably to emphasize the state of mind in which it arose as well as its aspirations. Urgency and obviousness first characterize Sidony Box, which was created at the beginning of the summer 2009, not as a conceived project but more a happy consequence of an unpremeditated encounter. While the three musicians play for the first time together, a genuine sound and the will of a common musical direction intrude naturally. Far from the classically well-ordered styles, each individual of this band brings in its own musical identity to design rapidly a unique repertoire inspired by the contemporary world, blending with ease separate musical universes. From then on, extemporaneous feelings and a savant mixture of influences are expressed in the name of spontaneity. While guitarist Manuel Adnot’s reference artists are numerous and eclectic such as Deftones, Happy Apple, Sigur Ros or Radiohead; drummer Arthur Narcy is an ardent trance and “working sound” devotee, and alto sax player Elie Dalibert is more anchored in the jazz tradition yet naturally open to all sound cultures. De facto present here and there, pop accents, metal, or noise are always underlain by an improvised speech which is the foundation of their pieces. Their only motto is to play totally. All in all the credo of the trio is to play the music of the moment rather than to lock itself in a definitive style. The pieces are most often collectively woven from a written pattern to a band composition in which three individualities blend to a unanimous speech, to the sound of the band.